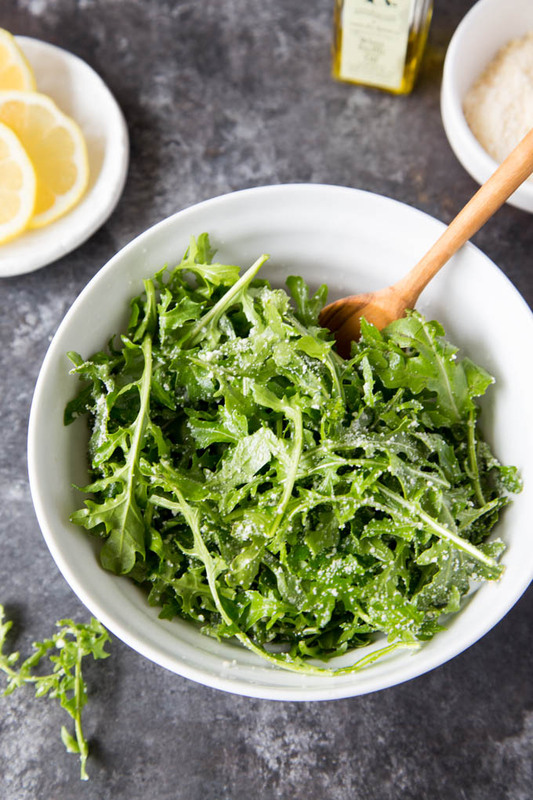 This is the easiest and one of my favorite salads (unless you hate truffle): Simply toss fresh arugula with a drop of high quality white truffle oil and then a few teaspoons of fresh lemon juice and a pinch of salt and pepper! You can add a few thinly sliced radishes but don't even consider adding a bunch of other things. Keep this one simple. The freshness of the lemon and peppery arugula are well balanced by the depth of the truffle oil. I highly recommend investing in a good quality white truffle oil. My favorite source of white truffle oil can be found here. A little goes a long ways so it is worth splurging on.